You may send a cheque payable to Aberdeen Boat Club Limited to our Account Department. The whole amount will directly go to the donation fund. 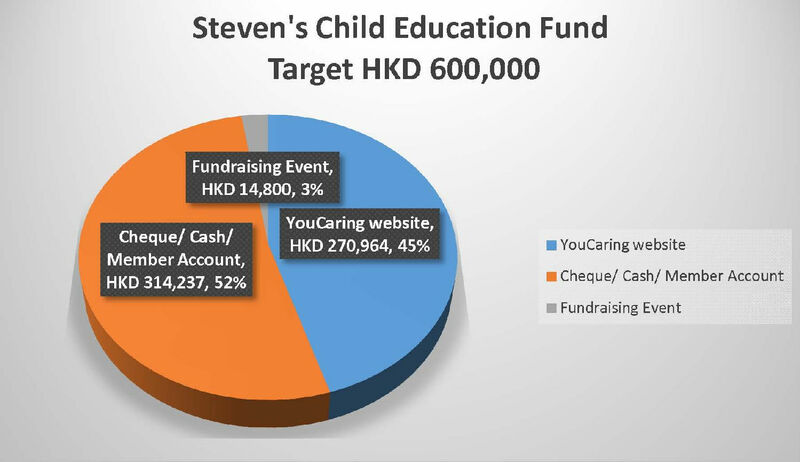 A great thank you to all Members who have contributed to Steven’s children’s education fund. 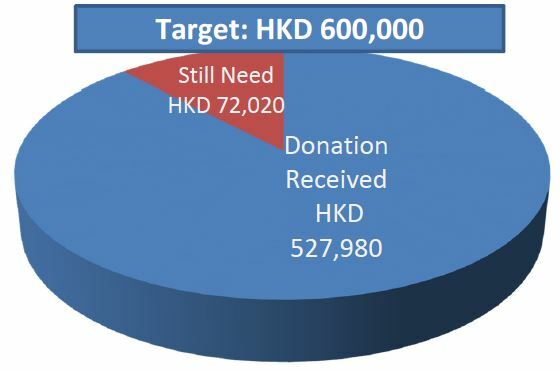 We have already achieved our target of gaining over HK$600,000 for the fund. Thank you again for your support! Steven joined the Club in September 1997, working his way up from F&B waiter to the very important role of house manager, involved in literally every corner of the Club and our Member services. Over these 19 years of hard work and commitment, Steven always has been a good staff member, arranging outside and extra activities for staff and members alike. He always played a prominent role in organising the annual staff party. Steven is well-respected by all, and has many longtime supporters within our Members and life-absent Members, who consider him more a friend than Club staff. 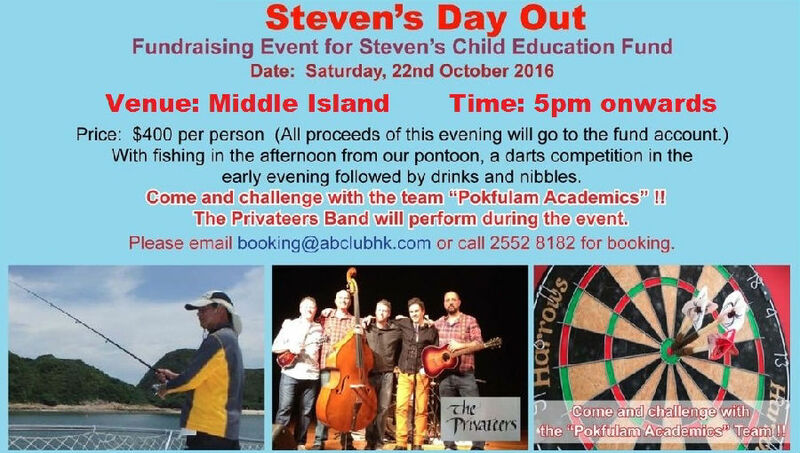 In May 2016, Steven has suffered from a severe meningitis and he has been stayed in a semi state of coma for several months. Now Steven has been moved to Wong Chuk Hang Hospital, and is making good progress in his long recovery. His left side has gained better motion whilst the right side of his body is still not responding. With new acupuncture treatment and improved care in this hospital, his recovery is progressing. His left hand can lift up some small objects. He is able to voice some small sounds as well as begin to eat congee. His wife is a junior staff in school for disabled children and makes a few thousand dollars a month. Steven has two children; Stephanie Ng Pui Ying (24) and William Ng Ho Yuen (22).Stephanie finished school in Hong Kong,then spent a few years in Korea learning the language and then in the United States, perfecting her English. She is about to embark on a full-time Bachelor of Art (Honours) course in International Relations and Politics at Portsmouth University. William after finishing secondary school, he went straight to Portsmouth University and is now in his final year working toward his Bachelor in Science (Hons) of Music and Sound Technology. Steven was funding his children’s educational costs by selling his flat then moving to a much smaller unit. That was without thinking that such a drastic medical situation could hit their family. Now the family future looks grim as money will not come in as before and a large shortfall soon will affect them. Hence the creation of this funding system to collect money and give support to his children education and the chance to continue studying in the UK and alleviate Steven’s financial burden.